Tête-à-tête, Spice, Whisper, and Amore are just a few names of new rings, necklaces, and earrings that joined fine jewelry line by Kozminka. New York-based jewelry company Kozminka launches an extension of Fine Senses collection dedicated to the five human senses. Motion with passion expressed in new vibrant colors and elements are the main novelties in this line. Dancing zigzag, swirling pearls and dangling charms represent a movement. Genuine Rubies play a role of a passionate sparkle. At first sight combination of smooth snow-white pearls and faceted bloody-red rubies looks contrasting. At the same time, yellow gold unites materials and makes them complement each other. Price range is from $258 for a pair of Ruby studs and up to $758 for a Pearl choker with gold and Ruby charms. Besides a widened range of prices in the Fine Senses collection, Kozminka also broadens options for jewelry sets a client can choose. For example, Ruby studs look lovely in a combination of Snake ring and Zing choker. Signet ring Spice is a great addition to any hoop earrings with pearls. 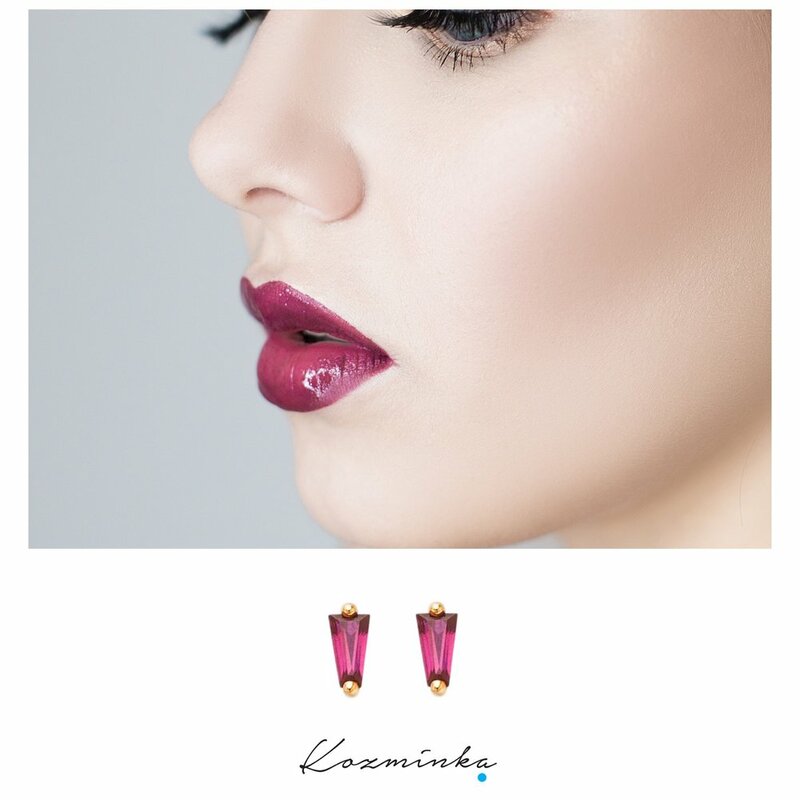 Take a look at new pieces on www.kozminka.com and find your own perfect set of Senses.